The piedmont Triad is home to more than 350 dentists. 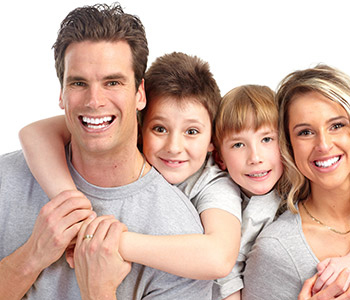 As a biological or holistic practice, Virtue Dental Care’s services and approaches revolve around the fact that oral health and overall health are linked. You really can’t have one without the other. Accordingly, every facet of each procedure must enhance the patient’s health and quality of life and not present new problems and challenges. The use of non-metal materials in fillings and other restorations is a cornerstone of the holistic dental practice. Metal-free is also mercury-free, because the silver fillings commonly used through history actually contain this toxic element. For optimal safety, it is not sufficient that a doctor avoids the use of mercury-containing products. The dental team must also be mercury-safe. The mercury in fillings is released through vapors. The vapors are inhaled and absorbed by the lungs. Mercury builds up in a steadily increasing concentration through a process known as bioaccumulation. Studies have found that the vapor from silver fillings bioaccumulates in some tissues of the body, such as the kidneys and brain. The vapor is released at higher rates when you brush your teeth, chew food, or clench and grind your teeth. Mercury vapors pose a threat to both patient and staff when they are released at the dentist’s office during the removal of silver fillings. For this reason, the International Academy of Oral Medicine & Toxicology has established recommendations for dentists to safely remove these types of restorations. Should removal techniques such as high volume suction, masks, and water irrigation not be used, mercury levels in the body have been known to increase significantly following the procedure. Chronic symptoms associated with mercury exposure in a large body of research – from digestive disorders to mental and emotional conditions – may also become worse. Many dentists no longer place the dental amalgam. Few practitioners, however, are trained and equipped to safely remove these metal restorations. Virtue Dental Care adheres to the IAOMT guidelines. Devices are present onsite to properly collect and remove mercury wastes and vapors. Procedures are in place to prevent toxic particles from being spread to other parts of the body, and to minimize mercury exposure as fillings are removed. Over the shorter term, you achieve a beautiful new smile, thanks to Dr. Virtue’s use of ceramics that look, feel, and function like natural, healthy teeth. Over the longer term, you may find a new spring to your step and resolution to troubling, nagging, and debilitating chronic conditions. Realize the benefits of safe mercury removal. Virtue Dental Care Patients call (336) 679-2034 and New Patients call (336) 679-2034 to schedule an appointment.